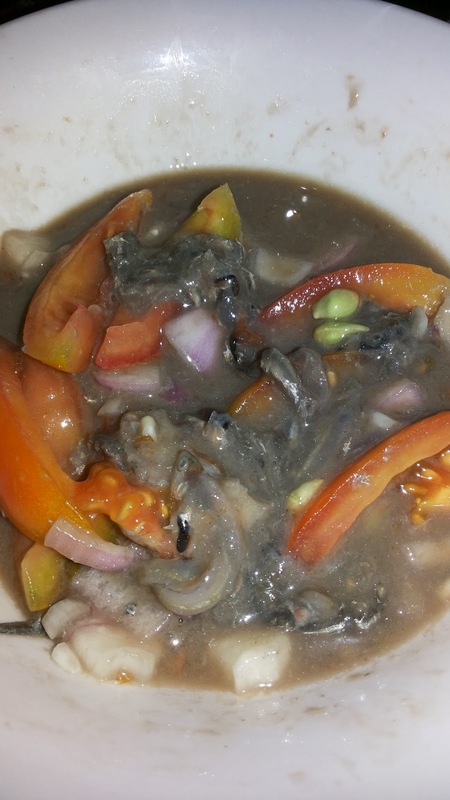 This is our Ginamos from Dumaguete. We mixed with tomatoes, onions and chili. Its a perfect partner for mixed vegetables in this cool and windy weather. Guess what, I shared this ginamos photo on Facebook and at least 50 Facebook friends liked the Photo and at least 20 commented! Most of them are already outside working/staying outside the country. They simply miss this food. This is the typical vegetables we love when the weather is cool. 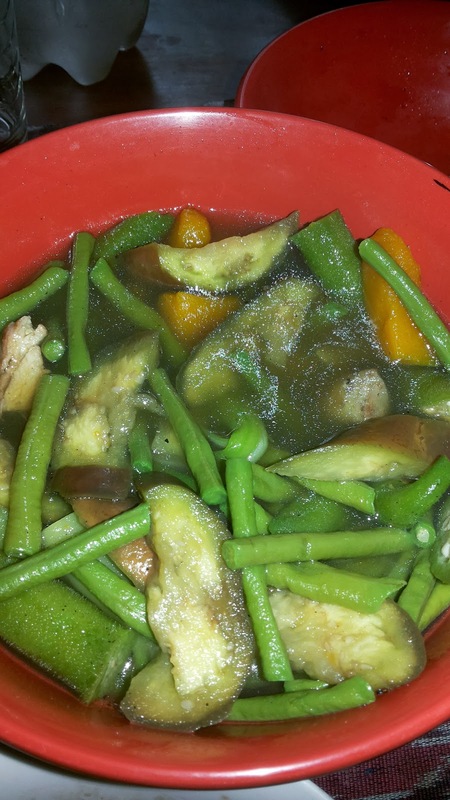 Its nice to sip soup with fresh vegetables cooked without any meat nor oil inside. A healthy food indeed!